A South African chef has taken local flavors and lifted it to world-class standards. Michelin-star chef Jan-Hendrik van der Westhuizen celebrates his roots with each dish that leaves his restaurant kitchen in France. 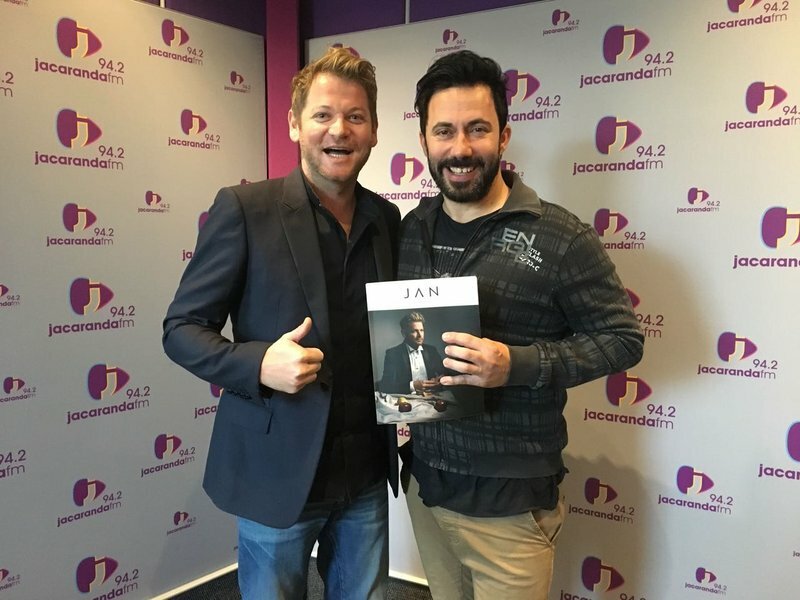 Breakfast with Martin Bester had the pleasure of hosting Jan in studio to find out more about his new coffee table cookbook, ‘JAN the JOURNAL’. In his restaurant in Nice, Côte d'Azur, Jan only serves world-class dishes but this morning, the breakfast table turned and he was in for a big surprise. Jan’s grandmother, ‘Ouma Hessie’ heard Jan was going to be on the show and thought it would be the perfect time to give him constructive critique. Jan has the power to take you on an incredible journey of discovery, people, places and ingredients, of course with a South African touch. Melktert and S'il vous plaît are not two words you would usually see next to each other, but as long as Jan is in France, you would!